Found a few things... nothing for the front though. Not sure there is such a thing. I know the UCA is not adjustable itself. ^^ very very funny. really. 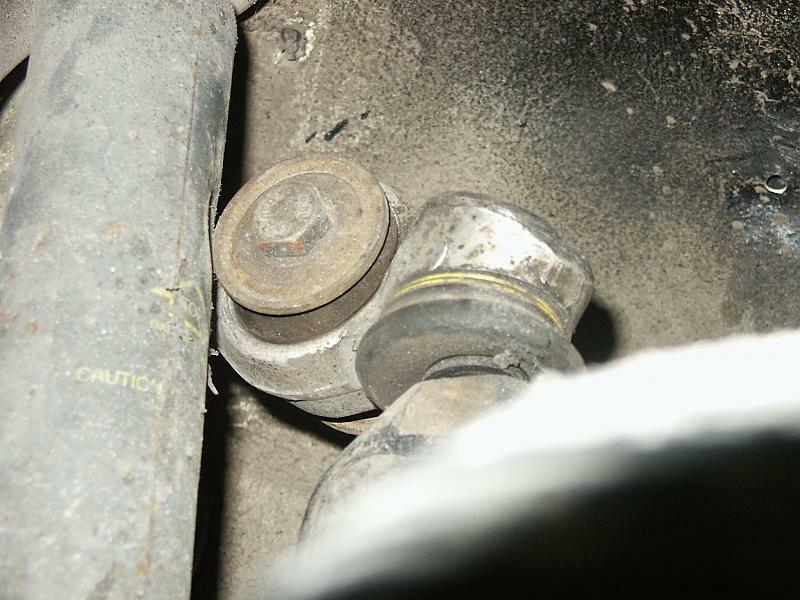 I am sure there is some deterioration in the all the bushings, but the pic below leads me to believe that what is giong on with my car is ABnormal. And I have seen camber kits for the rear, ie.. adjustable UCA 's. I think benzboy makes them. that is correct... is this what usually happens when more than one bushing goes bad at once? Or is it something more severe? depends... I am betting the front suspension is more or less original with respect the shocks were changed regularly. how do the LCA bushings look? any abnormal tire wear? any bent suspension components? is the sway bar still in one piece? Replace the UCA's and sway bar bushings as a start. Car was in an accident / stretched. The shock tower was not crumpled, only slightly pushed back in relation to the engine. I lifted te car the other day and maxed out the eccentric on the LCA. I didnt try to hard to find play in the LCA, didnt cross my mind, I was concerned with the UCA and found it a bit worn.. but certainly not gone! as this picture would imply. Maxxing out the eccentric made a difference. Would the weight of the car combined with enough play in the bushings cause the sway bar to bend in so far? I have my suspicions. good thread.. will do. Probably the brunt of my issues here. by manipulation of the unibody or ...? Have you pulled that UCA yet and checked if it's straight? The part of the body it bolts to didn't look bent or anything when I was there picking up the injectors. The alloy those things are made of is pretty soft. I wouldn't be suprised if it bent in the accident. I've had mine off a few times now. Holler if you want a hand.